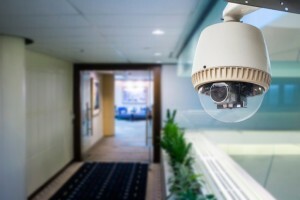 As video cameras expand beyond surveillance, more and more facility managers are realizing the value of video analytics in increasing the return on investment of modern IP cameras. However, in some cases these new systems are not delivering the anticipated results. And the reasons, more often than not, are improper camera placement and incorrect camera selection. Proper camera placement is critical in optimizing the performance of video analytics. Analytics software is programmed in a very specific fashion, which means that if the data it’s receiving is tainted by improper placement, it can output the wrong results. Proper camera selection is also a key factor in delivering video analytics software with the data it needs. In this week’s blog, we’ll talk about how to optimize video analytics with proper camera placement and selection. Proper camera placement and selection are essential in order for video analytics to do their job. What are the factors that affect video analytics? It may seem counterintuitive, but too much light can be a problem. Reflected light from a glass window, mirror, or the surface of a body of water can mess with analytics. Light from car headlights can as well. Placement – Camera should not point at the source of the reflection, or directly at oncoming vehicles. Position the camera off to the side. A polarizing filter can also be used. Too little light is also a problem. In this case, proper camera selection is the answer. Selection – Thermal cameras or integrated day/night cameras are ideal for low-light situations. Increasing artificial lighting in the field of view can also help. The size of the asset in the camera’s field of view needs to be large enough for it to track, and it needs to be easily distinguishable from surrounding objects. Let’s use the example of a fixed asset – a shelf in a retail store. Placement – The asset should make up at least 5% of the camera’s field of view. Either adjust the zoom or move the camera closer to achieve this. In terms of making the asset distinguishable, use analytics software to draw a detection region that includes the asset only. Objects in the camera’s field of view that are constantly in motion can confuse analytics software. This could include anything from an escalator to tree branches moving in the wind. Placement – If possible, move the camera so that this motion is excluded from the field of view. If not, use analytics software to draw a detection region that excludes areas of constant motion. In almost all cases, a camera’s view is obstructed somewhere in the field of view. Placement – This can be solved by using multiple cameras to cover all angles. Also, strategic placement using sidelong shots, wide angle, or overhead views can limit obstructions in the field of view. This entry was posted on Thursday, August 13th, 2015 at 12:58 pm. Both comments and pings are currently closed.